The magic behind the name of “cikopi” ? What would be more magical than the city where you have found the best funs on earth. Yes, it’s Bandung, the city where I grew up and people speak Sundanese. Cikopi, simply means “the coffee water”. Why blogging about coffee ? Because I take coffee personally, wholeheartedly. For many, it could even a spiritual journey. It is about emotional connection we build we beverage, which has been travelling time, geographic and cultural channels for hundred of years. 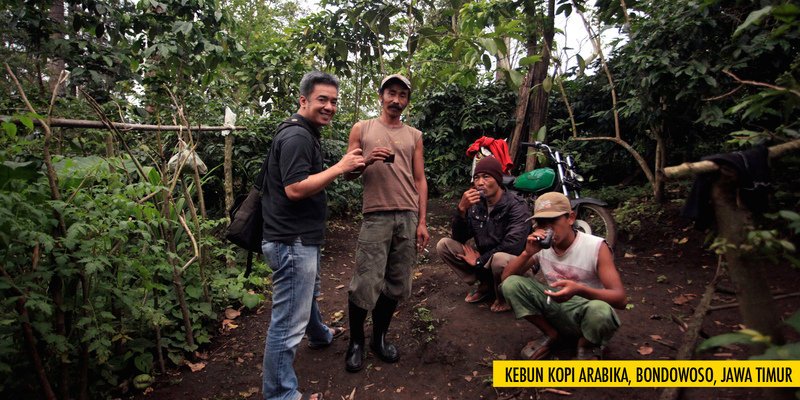 Cikopi tells the richness of odyssey of coffee for a very sincere reason : there is never enough story about it ! Are you an expert on coffee / barista / consultant ? Simply NOT. One thing for sure, you shall not find any overly sophisticated terms in this blog. For one, I am not an expert in those fields. More importantly, coffee for me is about the rituals to enjoy it and should not be mixed with its sacred science. Cikopi is potpourri of my personal journey with a beverage, which has unleashed my insanity. Pictures in this blog ? Pictures, in so many ways have the amazing ability to transcend the smell, the flavour, the warmth and surely the spirit of my coffee stories. What if I do not enjoy coffee ? 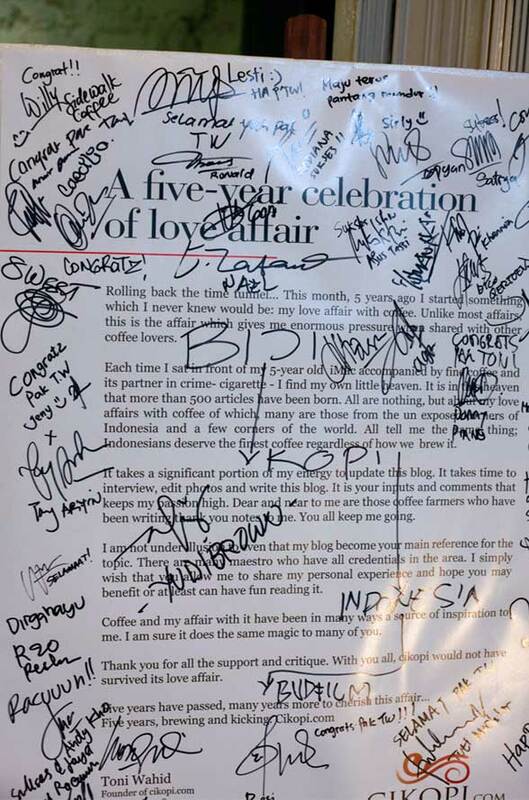 Well, at least, be PROUD, Indonesia has some (not just) variants of best coffee in the world.